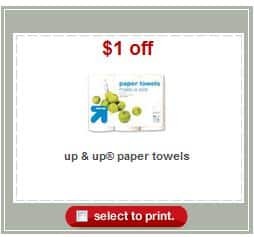 Everytime I go to the target site, click here, it only shows 7 household coupons, and up and up paper towels are not one of them. Please help!!! im not finding this coupon on the target site!! !